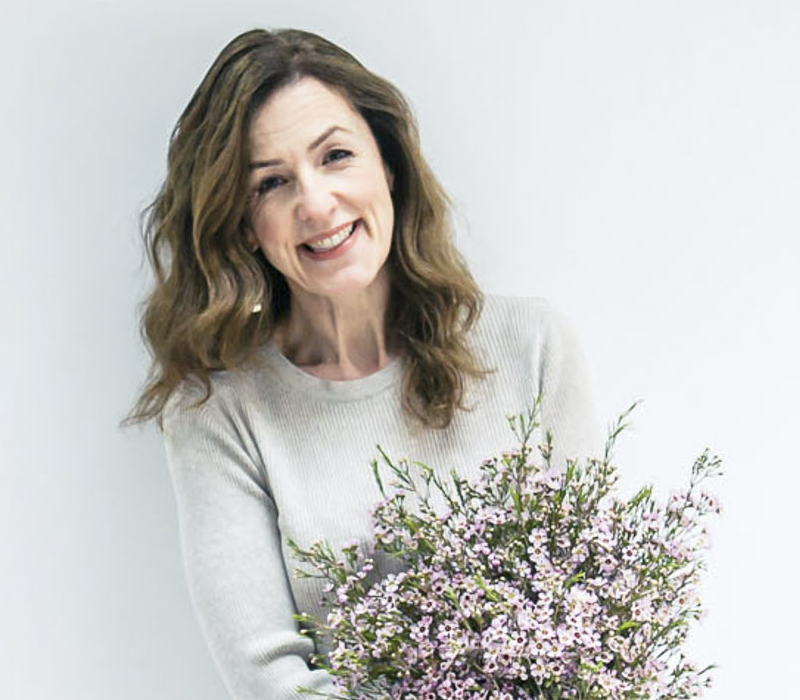 Today, as part of my Florist Friday blog post series, I’m delighted to feature an interview with Ming Veevers Carter, founder and Creative Director of Veevers Carter. 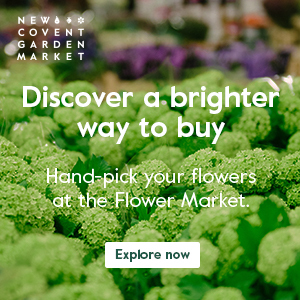 You may have read my recent blog post about New Covent Garden Flower Market’s debut appearance at this year’s RHS Chelsea Flower Show? Well, Ming’s company are creating their exhibit, ‘Behind Every Great Florist’. Could you tell us about your floristry background? I have always loved flowers, and living on a practically deserted island in the Seychelles from a very young age, I would spend time arranging posies from flowers collected around the island. When I returned to the UK, a school governor suggested I turn my hand to floristry. So after leaving school I went to train with Pulbrook & Gould. After some travel around the world where I taught floristry as I went, I consulted for a silk flower importer, travelling between London and China to develop ever more realistic silk flowers. By my late twenties, I had opened two flower shops in Chelsea and Fulham. But it wasn’t long before I moved out of flower shops in favour of being able to create large scale drama in the events world with my own company, Veevers Carter. I’ve never looked back! Here are just a few examples of their INCREDIBLE designs! 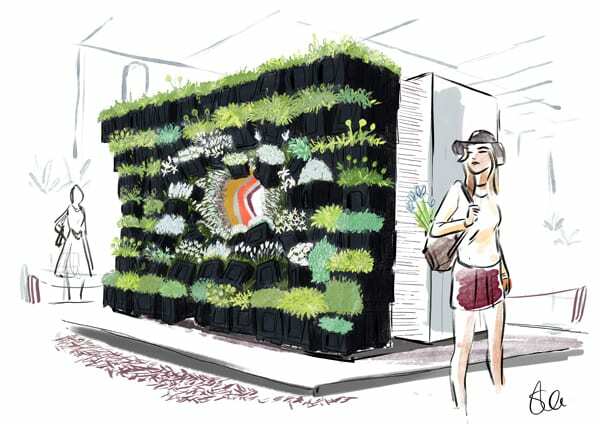 What was your inspiration behind the design for the New Covent Garden Flower Market exhibit at the RHS Chelsea Flower Show? Our brief was to illustrate how New Covent Garden Flower Market is ‘Behind Every Great Florist’ and has been an essential part of London life, flowering London for centuries. We were inspired by the Flower Market’s history, its traders and their stories, the physical market and its motifs (such as the flower buckets), but also by the many skilled independent florists who are loyal market customers and who constantly draw inspiration from the tapestry of colour to be seen every morning at 6am. Are you able to share with us details about the exhibit? Absolutely. The design explores the relationship between the perceived raw, unpolished beauty of the Flower Market and the final masterpieces meticulously arranged by floral designers. This can be seen in the design of the stand with each party represented via a side of the stand wall, with a ‘break’ connecting them in the middle. One whole side of the stand (the florist side) has remained a secret. So we are very excited for it to be unveiled at Chelsea. What has been the process behind its construction? 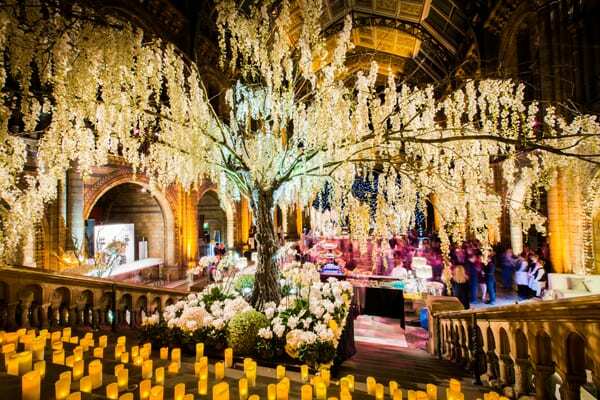 Some of the most complex floristry has an awful lot of construction and engineering behind it. 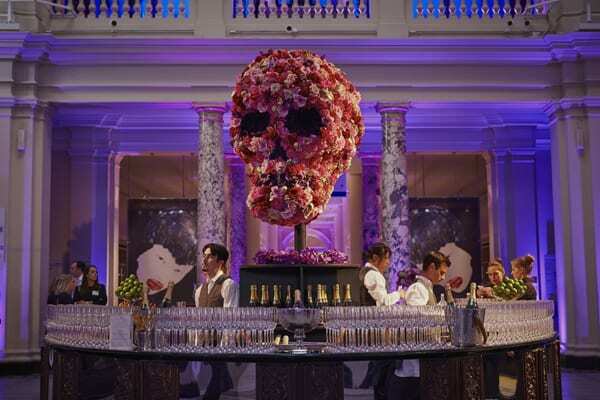 But the challenge is to make it as seamless as humanly possible so that the design and flowers do the talking. I suppose the process behind the construction starts with our incredibly talented set designer, Hannah, who draws up digital plans that incorporate technical specifications such as weight baring and safety, but also interpret the creative concept. Everything is actually constructed in our warehouses in Bermondsey. 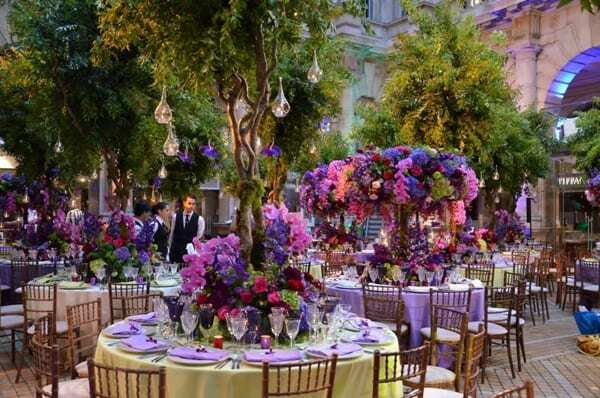 We have a highly skilled in-house team of set designers, interior architects, production designers, engineers and carpenters that create the detailed internal structure and intricate mechanics needed to allow the floral designers and florists to do their job. The structure is being dismantled bit by bit into moveable sections that can be transported in our 7.5 tonne trucks and rebuilt at Chelsea. This means that when we arrive at Chelsea it will all work like clockwork – we hope! How long has it taken to construct? We have had a full-time project team of 5 people focusing on Chelsea for about 6 months now. But if you count all of the many engineers and construction specialists, florists and designers, there is probably a team of about 35! I can’t even begin to fathom the man-hours that have gone into the project, let alone the build! Could you tell us about the logistics involved? Ensuring that the stand actually materialises at Chelsea is all about the logistics and management, but as a company this is what we do and what we are used to doing. 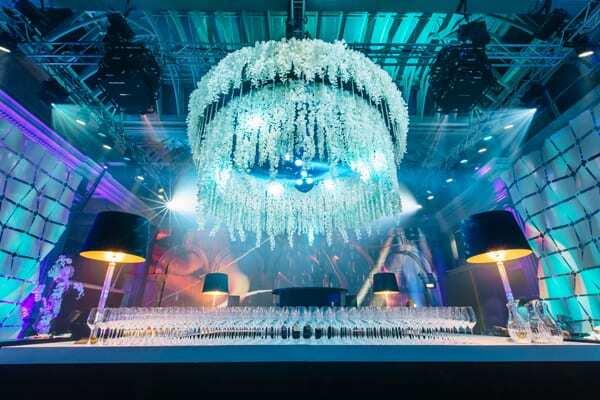 When we do events, we often have about a moment’s notice and about five moments to completely transform a space. So every minute in the run-up is mapped out by our project lead Lexi. I’ve mentioned the sectioning of the stand so that it can be loaded and transported to the Great Pavilion at Chelsea, but the additional challenge at Chelsea is that you can’t have a huge team – passes and tickets are like gold dust, so it has to be a hugely efficient operation! The structure of the stand was ready on Monday (16th May) – a full 9 days before Chelsea opens to the general public. The final exhibit will be ready at 8.30am on Sunday though, with only a day before VIPs visit the show for an exclusive preview. What happens to the stand after Chelsea? Chelsea is renowned for extravagant displays but we wanted to make sure that the extensive material could be repurposed and used post-show. We have been involved with The Art Room, Age Concern and St Christopher’s Hospice for some time now. We try and deliver flowers and art materials on a weekly basis. After Chelsea, the structure will be broken down into parts suitable for canvas for The Art Room, so that children can use them to learn and achieve through art. The 10,000 plus flowers will be arranged into little posies and donated to Age Concern to decorate their lunch tables. Creativity and flowers are amazingly uplifting and we hope that knowing that the materials used came from the RHS Chelsea Flower Show will raise some smiles. Thank you so much to Ming for all her help in compiling today’s blog post. 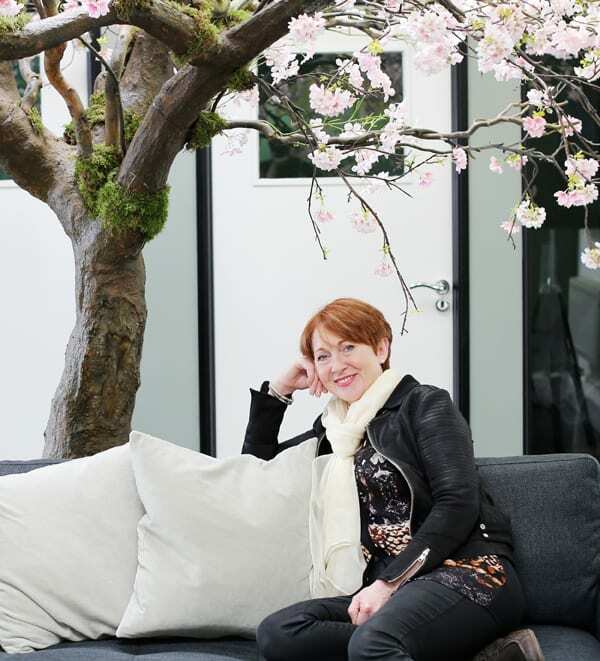 If you’d like to find out more about her company, do pop over to the Veevers Carter website. And if you’d like to see ‘behind the scenes’ photos of the Flower Market exhibit in the run-up to the RHS Chelsea Flower Show, follow Veevers Carter on Facebook, Instagram and Twitter. P.S. Have you seen the new video about New Covent Garden Flower Market which is part of the #BehindEveryGreatFlorist campaign? P.P.S. I’ll be back here on Monday with the next blog post. Then, there will be LOTS of blog posts next week as I’ll be at the RHS Chelsea Flower Show on Monday for Press Day and I’ll also be there on Tuesday. If you’d like to follow me, head over to Snapchat.